Ahoy! It’s time to create a dazzling light up project with our new RGB Matrix FeatherWing. 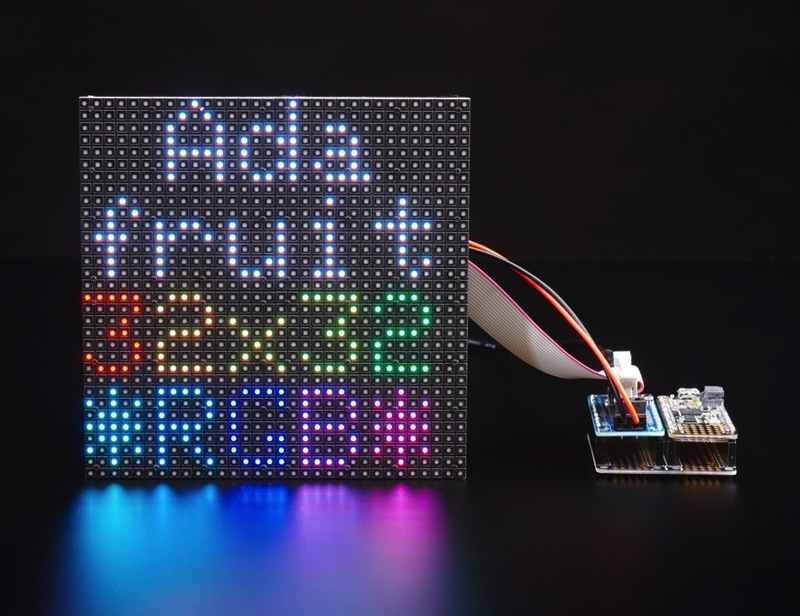 Now you can quickly and easily create projects featuring your favorite 16 or 32-pixel tall matrix boards. 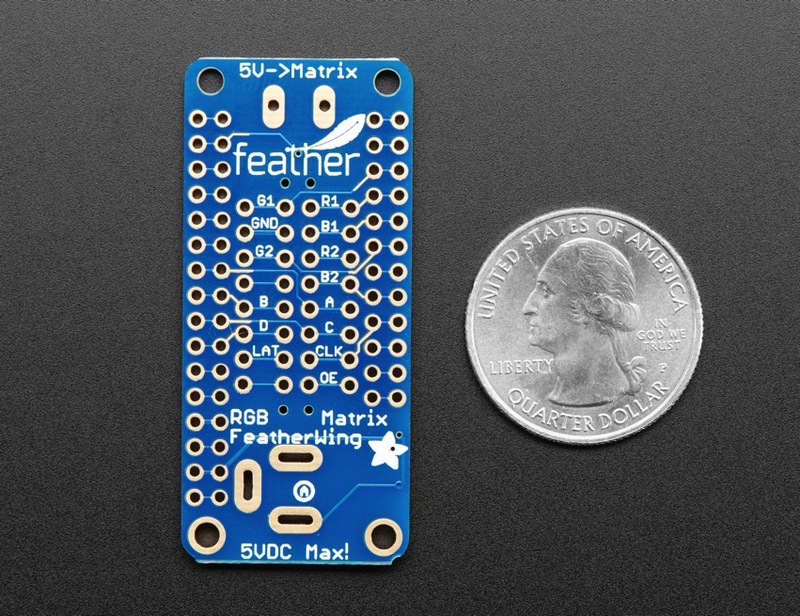 Using our RGB Matrix library is easy and works wonderfully with any of our M0 or M4 based Feathers. 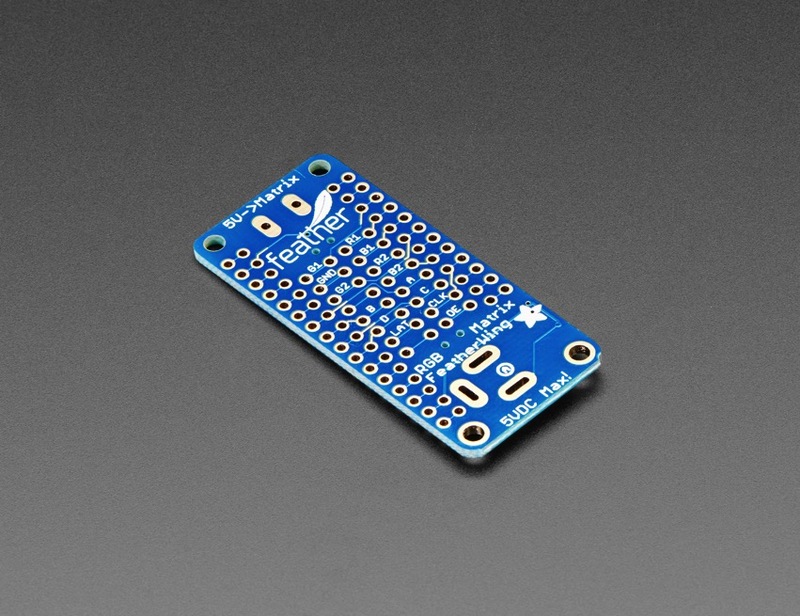 This FeatherWing will work great with any of our 16×32, 32×32 or 64×32 RGB matrices, and is definitely the easiest way to glow and go. Either way you decide to go, you can plug a 5V DC power pack into the 2.1mm DC jack. 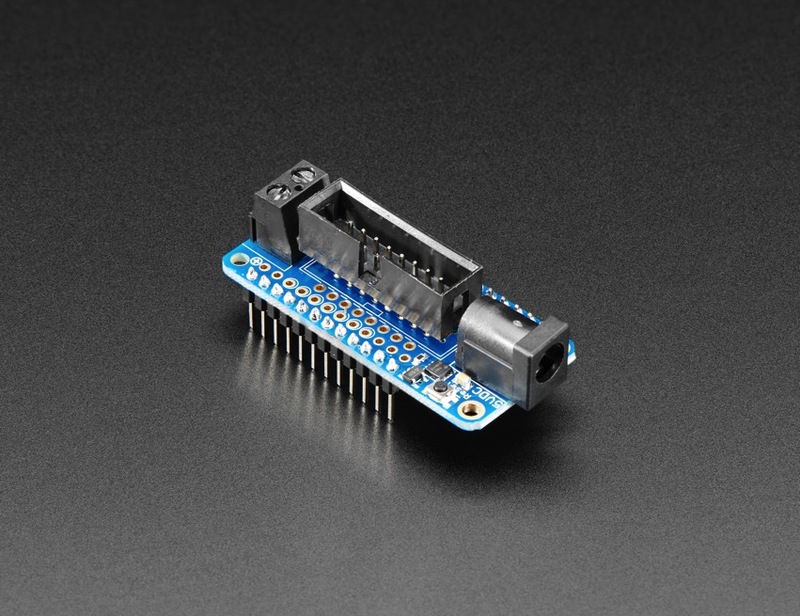 That 5V is polarity protected and then output on the other side to a 5.08mm terminal block. 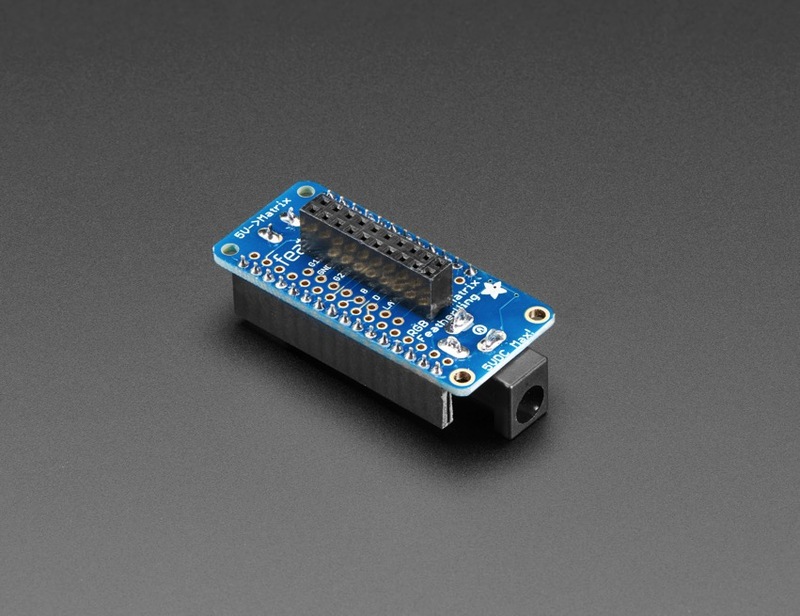 An onboard regulator will provide 3.3V power to your Feather so you don’t need a separate USB or battery, this makes for a very compact build! 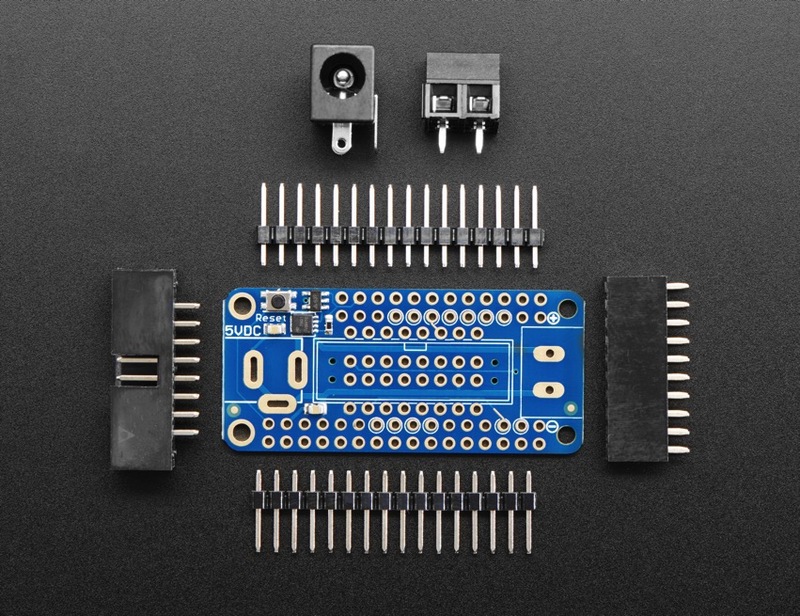 Each order comes with one FeatherWing PCB with surface mount parts attached, a 2×8 IDC header, a 2×10 female socket, 2.1mm DC jack, 5.08mm terminal block, and some male header. You may also want some Feather stacking headers or female headers depending on how you plan to attach/stack your Feather.